The United States is vast and varied while Mexico is crazy and cultural, so Canada, as the third major country in North America, is often forgotten as a vacation destination. However, Canada has plenty to offer the intrepid traveler, from one-of-a-kind views to world-renowned culture. So, set your sights northward and pack warm for a vacation to any or all of these terrific Canadian trips. Perhaps the best known of any vacation destination in Canada, Niagara Falls is thrumming with visitors almost any time of year — and it’s easy to see why. Its world-famous waterfalls are some of the world’s natural wonders, with the churning water falling more than 178 feet at a breakneck 100 feet per second, and there are plenty of delightful parks and natural forests to explore. Staying in Niagara Falls also grants visitors access to world-class entertainment, from amusement parks to casinos, winery tours to water parks. 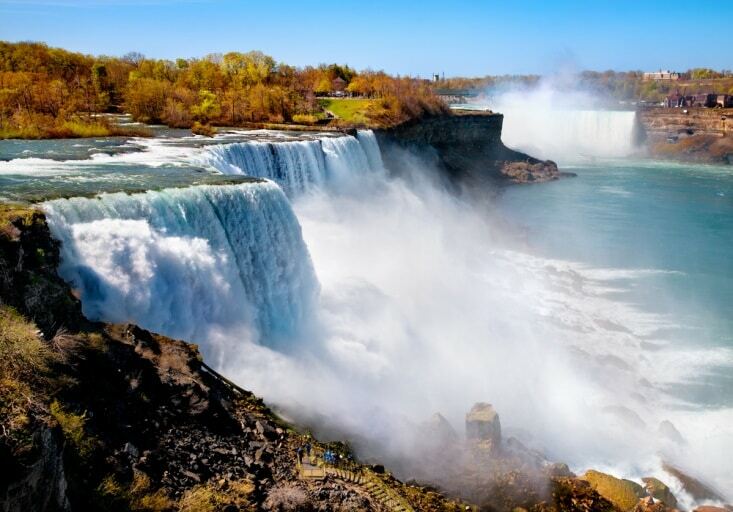 Niagara Falls is certainly a place any world traveler must see. French Canada feels like its own country, and plenty of French Canadians wish it were so. A visit to Montreal affords visitors a chance to indulge in all things French, from the language to the architecture to the legendary food. Catch glimpses of striking 18th century architecture along the Vieux-Montreal, which boasts plenty of attractions for tourists, like shops and museums. Or, simply eat your way through the city at any of the proudly award-winning restaurants. If you tire of the French attitudes in the Quebec Province, head west for a taste of Canada’s British roots. Victoria is full of British architecture and culture; the Parliament building looks and feels straight out of London, and the city boasts the country’s best tea rooms where you can indulge in a scone or crumpet with clotted cream along with your brew. When you exhaust the city’s attractions, you can step outside into British Columbia where opportunities abound. British Columbia is celebrated for its outdoor sports, from surfing to skiing, and the national parks of the region rival even tropical jungles in their diverse beauty. 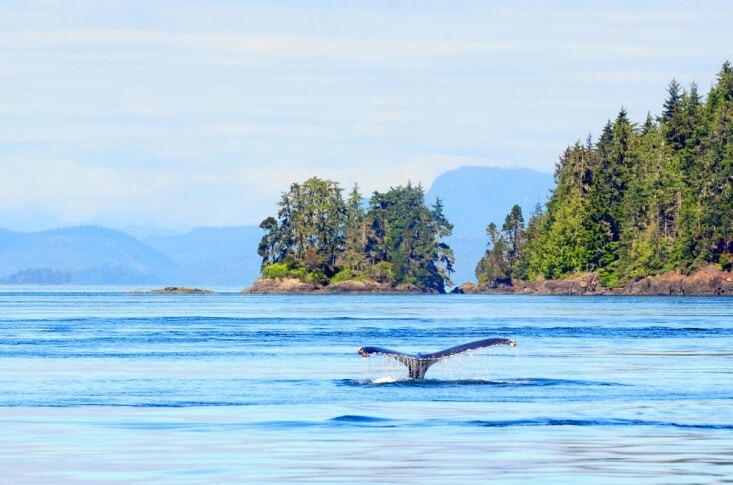 Plus, this is one of the best places in the world to spot humpback whales. The list of activities on Vancouver Island seems unending, so any traveler can find his or her ideal vacation here. The nation’s capital certainly isn’t the largest city in Canada or even the most culturally or naturally diverse, but it is certainly worth a visit. The metropolitan area is full of federal, financial, and commercial buildings to explore, but the real treat is the Rideau Canal. This waterway connects the capital to Lake Ontario and other cities in the region, and in Ottawa, it creates interesting and lovely scenery. Most importantly, during winter the canal freezes solid creating the world’s largest ice skating rink. So bring your skates for a quick winter trip to Ottawa. If exquisite landscapes are what you’re looking for, you absolutely cannot ignore Banff National Park. Nestled in the province of Alberta, Banff is Canada’s first and most popular national park due to its seemingly untouched natural scenery. Crystal blue lakes reflect stark white and gray mountains surrounded by a sea of fresh green forest; you can stop for a glance as you pass along the Trans-Canada Highway, or you can spend some time hiking and exploring the park’s unique beauty.